Solid colour wardrobe with tongue and groove panels. Painted Elephant Grey to match other Armada Collection Furniture. Hidden handles to create a smooth and sleek finish. Providing ample storage with a half width hanging rail, pigeon hole shelving and one full width shelf. 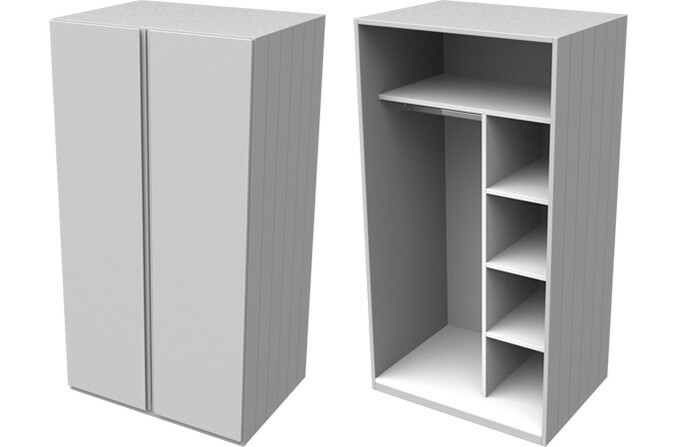 Small Kids Grey Wardrobe from the Armada Collection - Made from moisture resistant composite board, painted Elephant Grey to match other Armada Collection furniture. External panels are made with tongue and groove detail.